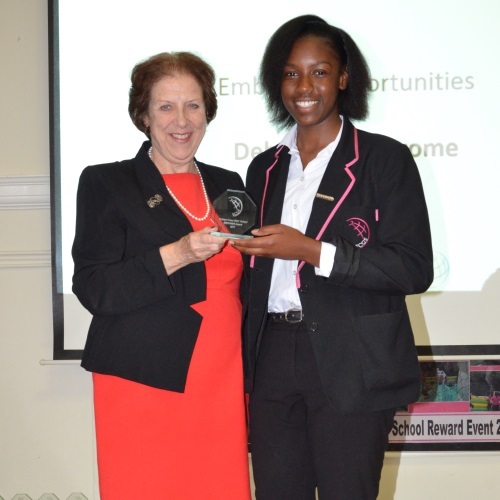 On Thursday 29th June, we had our first EMPOWER Awards evening, to recognise and celebrate the outstanding commitment of Fulham Cross Girls’ School students to our EMPOWER charter. The students receiving the awards had been nominated by their teachers for their commitment to one of the strands of EMPOWER, with eight winners for each year group plus an additional outstanding commitment award for the student in each year group who was nominated for the most categories. Our formal ceremony started with a welcome from Mr Haylock, Executive Principal of Fulham College Academy Trust, who spoke about the challenge that we lay down to our students to be the leaders of the future. 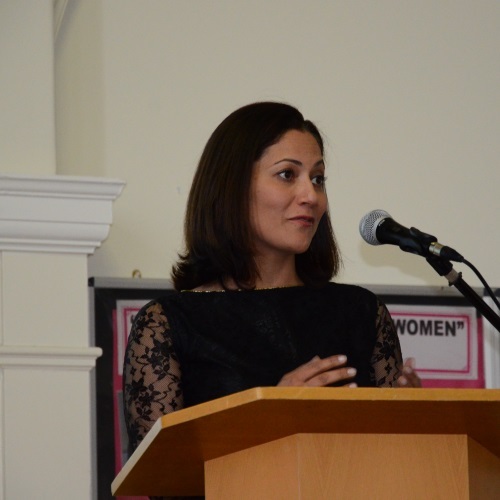 This was followed by a warm and inspirational address from our guest speaker, BBC Broadcaster Mishal Husain, who spoke with passion about the challenges that she faces as a high profile, successful female professional and, more importantly, her determination to succeed and fulfil her aspirations. Mishal spoke directly to our girls to advise them to believe in themselves, work hard, listen, persevere and follow their dreams and the audience was captivated by her passion as she paid tribute to our EMPOWER values. The first award of the evening was presented by Mishal to Hiba Al-Moosawi in recognition of her commitment to representing young people through her role as Youth Mayor for Hammersmith and Fulham. The evening then carried on with each girl receiving a glass trophy, a certificate and a book to mark her achievement as one of our EMPOWER winners. Ms Fox, Head of School, was extremely proud of all the students as she presented their awards and had photographs with every winner. At the end of the evening, proud parents rushed forward to have their photographs taken with their daughters and all remarked on how much the evening meant to their families. Our EMPOWER winners for 2017 will be displayed throughout the school so that all our students can aspire to emulate their achievements and be the 2018 winners.